The new ProAc Tablette 10 is a tenth generation of the Tablettes launched in 1979. The Tablette 10 is an all new design, using a thin walled heavy damped infinite baffle enclosure which is the same as the BBC LS3/5a. This design allows the Tablette 10 to be positioned against the wall, unlike a ported enclosure (not recommended). The new Tablette 10 has cutting edge new drive units, the bass driver has a Paginna Mika cone which is reed leaves mixed with Mika and coated with an acoustic dope. The crossover has been specially designed for a sealed enclosure with a network which shapes the response to give a rich bass and an extremely transparent midrange. The tweeter is our well known 1 inch silk dome used in many of ProAc's other models. 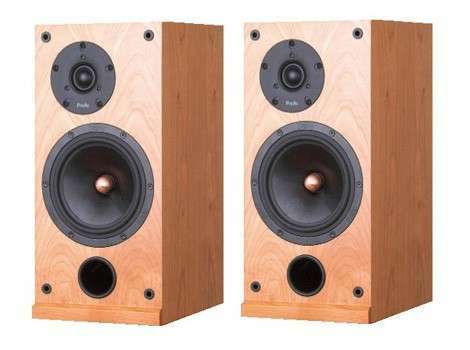 The Response D TWO is a new bookshelf speaker, designed for the finest quality music and giving true monitor performance. The cabinet is made from a heavily damped, thin-wall rigid birch ply carcass, with a 25mm back panel. The bass driver is new, using the same cone technology as the Response D15 but with a revised coil and magnet. The tweeter is the same 1" silk dome as used in other ProAc models and the drive units are seamlessly mated with an HQ network designed and built by ProAc. Sound quality from the D TWO is one of extreme transparency; a lush and potent bass response and a silky detailed high frequency. The D TWO also have a huge sound stage with pinpoint imagery. The speakers are designed to sit on high mass stands from 18", high depending on your seating position. The latest ProAc floor standing design, the new Response DT8, incorporates these design parameters for the first time in a ProAc two-way design. Utilising 2 x 6.5 inch drivers, the pulp mica cone unit delivers exceptional bass performance in a ported cabinet with the bass loaded via side vents and the polypropylene unit gives a smooth, detailed and uncoloured midrange. Both drivers work in tandem resulting in a well extended low frequency response and ProAc's signature natural sounding midrange quality and pinpoint imagery. These frequency ranges are then cleverly overlapped by a new, Stewart Tyler designed, crossover which seamlessly integrates ProAc's proven 1 inch soft dome tweeter, offset on the front baffle, and placed between the 2 drivers. Some other manufacturers frequently use the same drive unit cone material in each of the models in their range. ProAc has taken a different approach and has previously used carbon fibre, kevlar, pulp and polypropylene. However this is the first time we have used two different types of unit in a two-way design. The new Response DT8 now takes its place in the ProAc range as our entry level floor standing design.